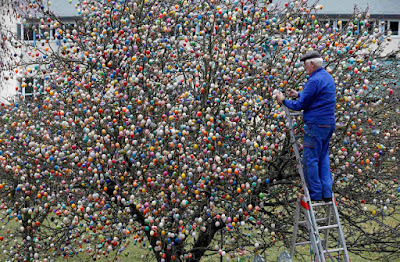 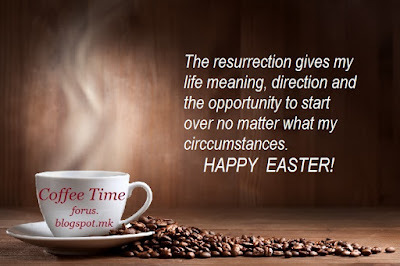 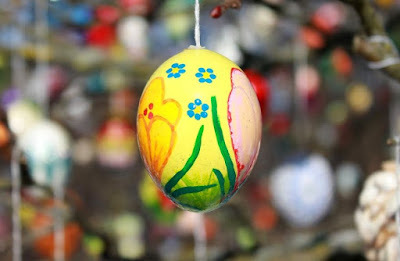 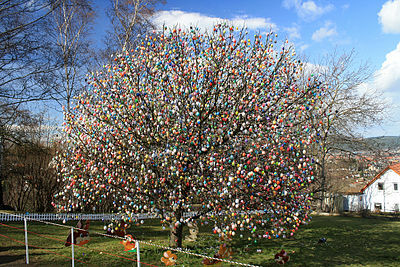 A German tradition of decorating trees and bushes with Easter eggs is known as the Ostereierbaum, or Easter egg tree. 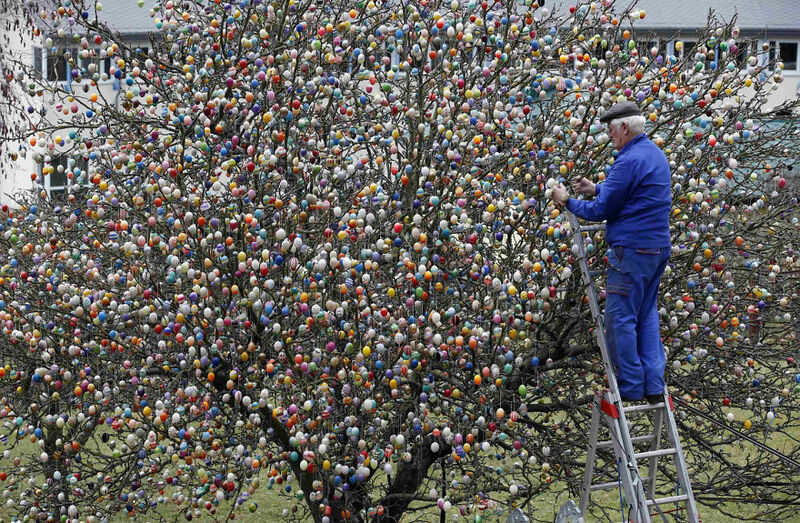 German pensioner Volker Kraft decorates an apple tree with Easter eggs in the garden of his summer house, in the eastern German town of Saalfeld on Wednesday. 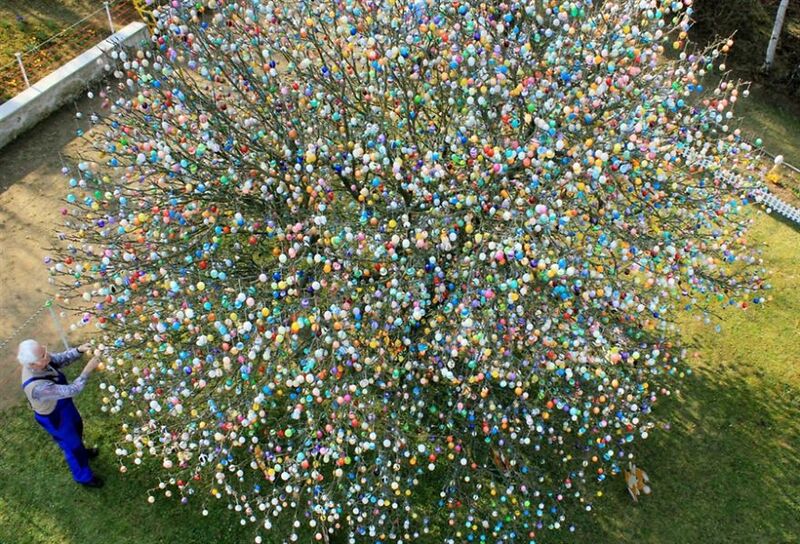 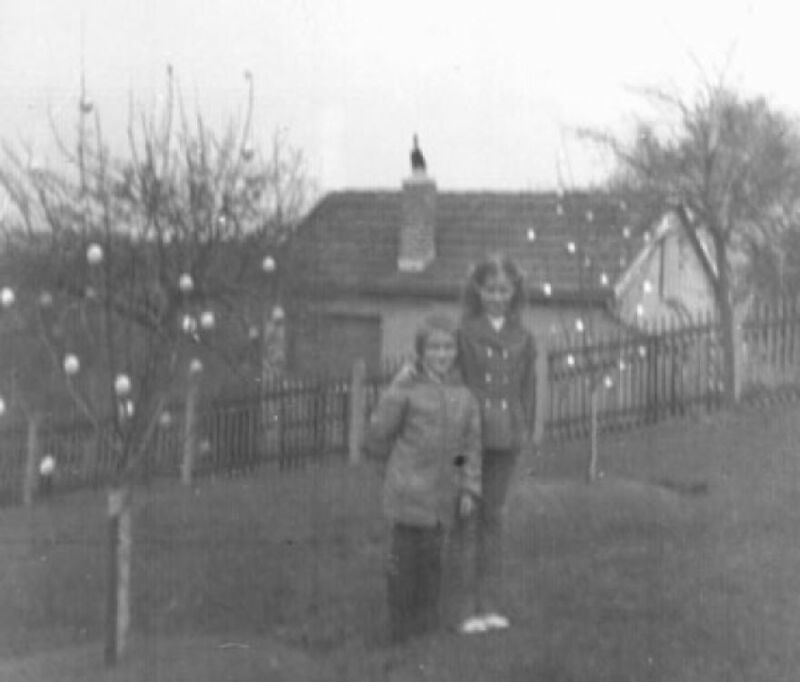 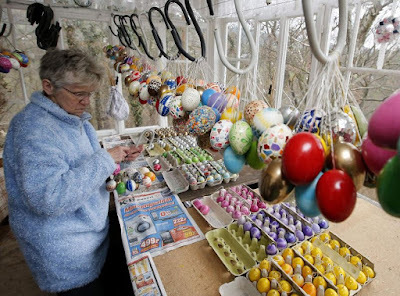 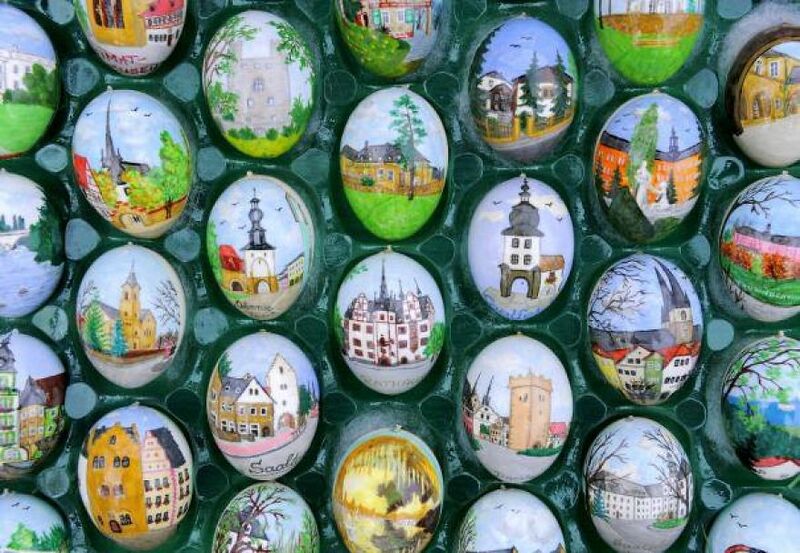 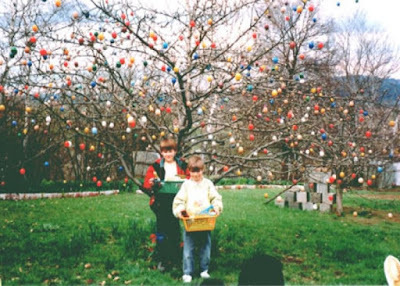 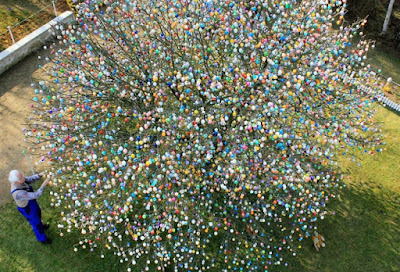 Every year since 1965 Volker and his wife Christa spend up to two weeks decorating the tree with their collection of 10,000 colorful hand-painted Easter eggs in preparation for Easter celebrations. 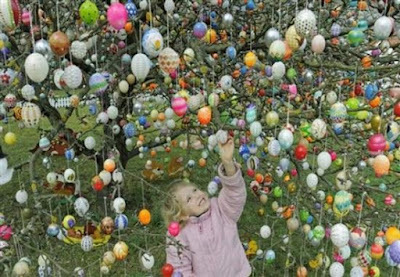 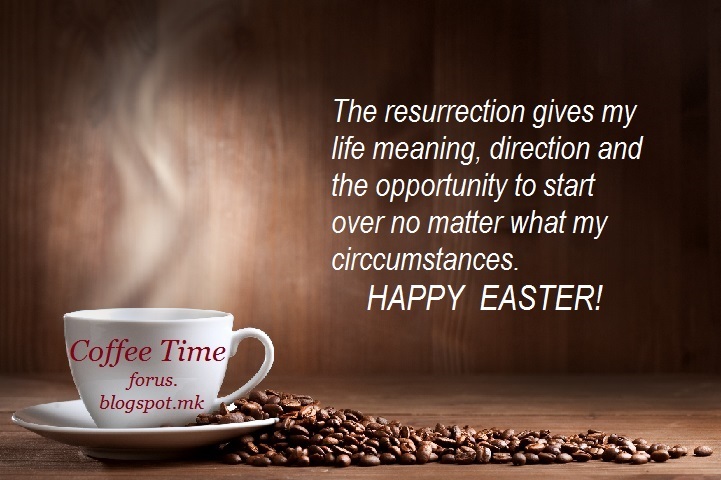 The number of Easter eggs hung by the tree’s branches grew every year,and it reached an incredible 10.000 eggs.